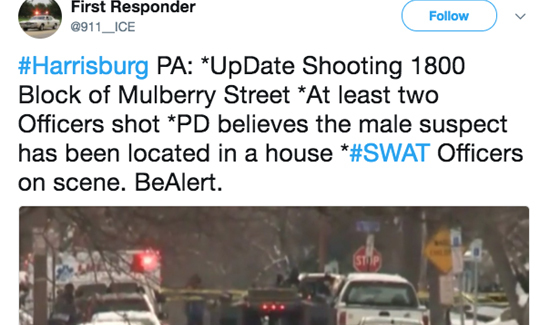 In Pennsylvania, A U.S. Marshall was shot and killed and several officers were wounded while trying to serve a warrant. The York Police Department said one of its officers assigned to the U.S. Marshals Service task force was shot and injured in the incident, CBS affiliate WHP-TV reports. The officer’s injuries were not believed to be life-threatening.